This fabulous and unique appetizer combines some of the best flavours. 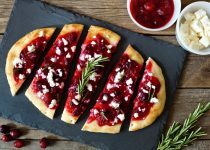 Add some creativity for your holiday parties and get-togethers with family and friends with this sure to impress flatbread! Pre-heat oven to 375 degrees. On a baking tray place a piece of parchment paper. Place flatbreads side by side on baking tray and brush with olive oil. Bake in oven for 5-7 minutes or until flatbread is slightly golden. Remove from oven. 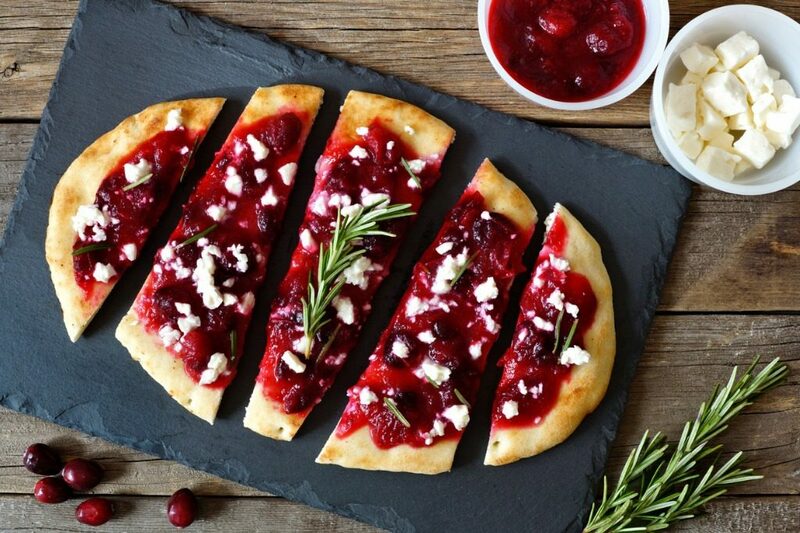 Spoon and spread our Cranberry Garlic Rum Preserve evenly over the flatbread. Sprinkle crumbled goats cheese and chopped thyme on top off the flatbreads. Place back in oven for 10 minutes or until goats cheese has slightly melted. Remove from oven and cut into thin wedge slices. Serve and Enjoy!